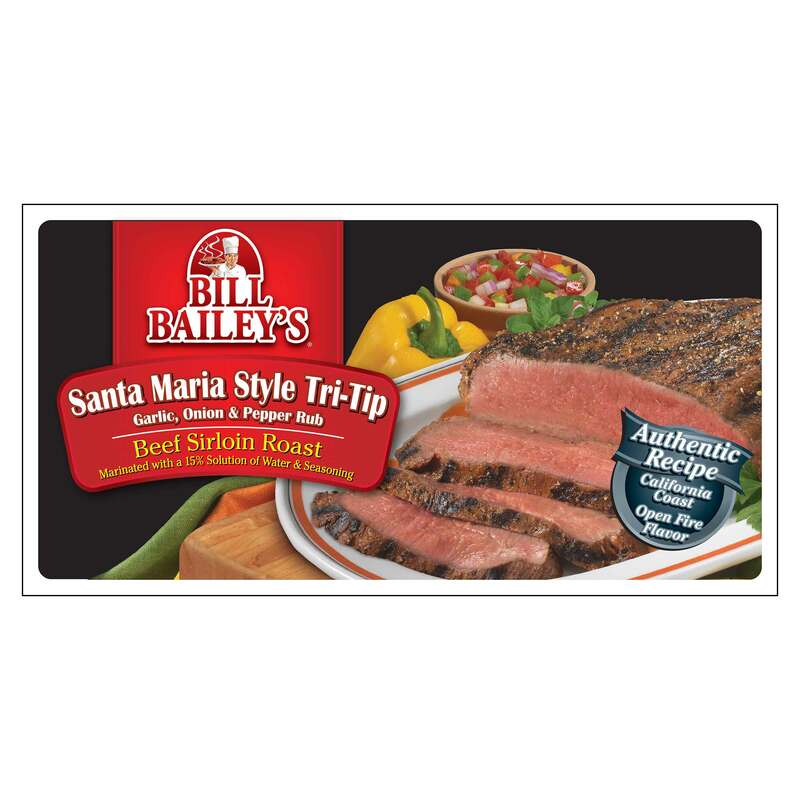 Bill Bailey's Grilled Tri-Tip with Summer Corn, Tomato & Avocado Salsa. A simple, delicious main dish built around a perfectly seasoned grilled Tri-Tip and just the right mix of fresh summer flavors! Preheat your BBQ with a 2-Zone Setup; one side of the grill on high heat and the other side on low heat for indirect cooking. Grill the Tri-Tip over high heat for 10 minutes per side, creating grill marks and sealing in the juices. Then move the Tri-Tip to the low heat side of the grill, close the grill and cook, turning often for 20 to 30 minutes more, or until you reach an internal temperature of 145ºF, or the desired doneness. Let the Tri-Tip rest for 10 minutes before slicing. Grill the corn until crisp-tender. When cool, slice the kernels from the cobs. In a mixing bowl, whisk together the vinegar, mustard and olive oil and season with salt and pepper. Add the grilled corn, tomatoes, basil, avocado and onion. Toss gently to coat. Slice the Tri-Tip against the grain, for tenderness, and serve with the Salsa. Yum yum. Made our recent barbecue a meal to remember.